This little guy and his sweet family came for a newborn session last week. He started off being a bit sleepy but that did not last long. He wanted to be aware of what was going on at any time during the shoot. Majorly adorable little Princeton – it was hard to let him go home! Fun fact, his cousin was the very first baby I ever photographed in my life! How fun is that? Good thing my skills have improved over the years though….hahaha. He looks so handsome on green, but also on blue. Matter of fact he would have rocked any color, such cuteness! Ute-Christin Photography is an on-location, natural light, lifestyle and portrait Photographer, focusing on Maternity, Newborn, Families and Children all ages in Connecticut. 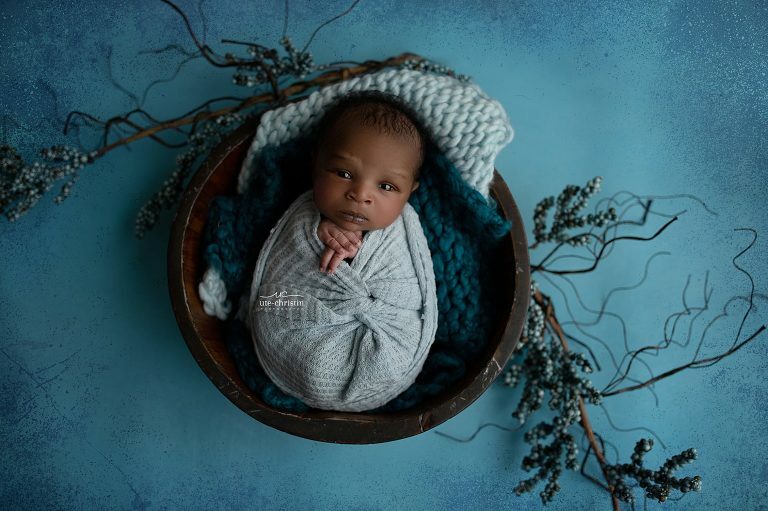 In addition, Ute-Christin has a studio in Milford, CT that is best suited for Newborn and Milestone Sessions for children three to twelve months. Please contact her about booking your photography session today by clicking right here. Do you need a: Milford CT Newborn Photographer, , CT Newborn Photographer, CT Newborn Photography, CT Baby Photographer, CT Smash Cake Photographer, CT Maternity Photographer, CT Maternity Photography, CT Cake Smash Photography, CT Pregnancy Photographer, Baby Photography in Connecticut, Baby Photographer in Connecticut, New Haven CT Newborn Photographer, Milford CT Newborn Photographer, New Haven County CT Newborn Photographer, Fairfield County CT Newborn Photographer, Orange CT Newborn Photographer, Stratford CT Newborn Photographer, CT Family Photographer, Fairfield County Family Photographer, or Milford CT Photographer please email me at hello@utechristinphotography.com – it is always a good idea to reserve your spot a few months in advance. Last minute booking can be requested and is based on availability.